Today’s $12.5 million-capped advanced metals explorer holds an enviable portfolio of high-grade, North American battery minerals assets at a time when the lithium-ion renewables battery market has never been hotter. This company has made a string of solid moves into cobalt exploration — one of the best performing metals of 2017/18 and one of the biggest commodities stories of 2017. LME cobalt prices surged more than 120% over the course of the year and, pertinent to today’s story, the share prices of several TSX and TSXV-listed cobalt stocks were up more than 150% in the first six months of 2017 (including TSXV:STM, TSXV:CSR and TSXV:KBLT). Canada is clearly the right place to look for cobalt, with the region generating a good deal of interest and emerging as somewhat of a Cobalt Capital. Not only is it rich in the valuable blue stuff, it also offers ideal export access to China and the US (which are #1 and #2 in the world in terms of largest electric car stock — see these figures). With about $2.5 million of fresh funds now in hand, the company finds itself in a good position to fund its upcoming exploration plans. Of most interest is the company’s aggressive exploration plans for its new Werner Lake Project, which includes a previously operated mine and a history of over 40,000 metres of previously undertaken drilling. An extensive drill program across key targets comprising approximately 6000 metres of diamond core drilling is currently underway. That will likely be used to expand the existing Indicated Mineral Resource of 79,400 Tonnes at 0.43% cobalt (even more likely considering the identified Resource remains open in all directions). A key priority for the company during this drill program will be to identify and delineate additional high-grade cobalt mineralisation, which happens to abut assets held by First Cobalt Corporation (ASX:FCC) — the largest cobalt exploration company in the world. FCC recently acquired US Cobalt and its North American cobalt assets, including assets which sits alongside that of today’s company, for approximately C$150 million. The company also recently added more experts to its heavyweight board to give it the best chance possible of unlocking the value of its cobalt portfolio and moving into the electric vehicle (EV) sector. Although it does remain a speculative stock and investors should seek professional financial advice if considering this stock for their portfolio. With this demand, comes an ever-growing need for cobalt, as well as other materials like graphite, lithium, copper and more — all of which are, crucially, used in the manufacture of rechargeable lithium-ion batteries that power electric vehicles. With its EV-motivated cobalt ambitions set to be ramped up a gear, it’s a good time to examine what this small cap is all about. Marquee Resources (ASX:MQR) is working doggedly towards its green energy metals ambitions. It began with lithium, but the real focus lately has been on cobalt. The addition of key personnel also helps its cause. Paul Sarjeant was appointed General Manager. For over 25 years Sarjeant has been involved in mineral exploration and development in North and South America and throughout Africa, Asia and Europe, and has now been involved in cobalt exploration for more than six years. The highly experienced Chief Geologist Toby Hughes has previously been heavily involved in the Werner Lake project with local on ground knowledge of the project, making his appointment quite the coup for a small-cap like MQR. Hughes’ career as a geologist spans more than 35 years. In particular, his cobalt experience includes several years as project manager at the Werner Lake project, but also exploration within the Ontario Cobalt mining camp, and evaluations across the Ontario and Québec Abitibi, and British Columbia. Now, let’s take a look in more detail at MQR, starting with Werner Lake. Werner Lake: a prize win for MQR? MQR’s Werner Lake Project is one of the largest high-grade cobalt Resources in Canada. 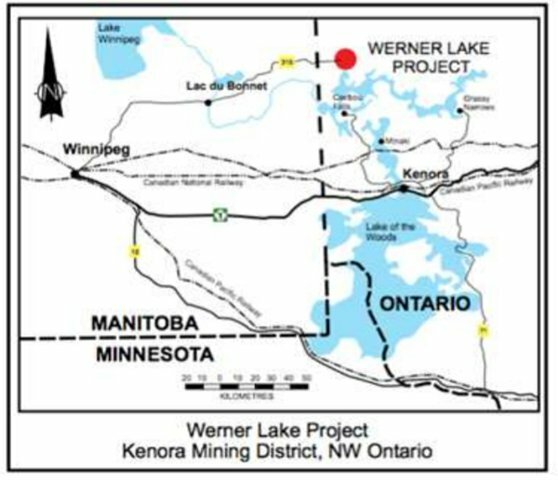 The Werner Lake property is located in north-western Ontario, within the Kenora Mining District approximately 85 kilometres north-northwest of Kenora, Ontario and approximately 170 kilometres east-northeast of Winnipeg, Manitoba, as shown in the map below. MQR’s Werner Lake tenements (for which it has an option to earn up to 70%) are most easily accessed from Manitoba, and include the previously producing Werner Lake Mine which operated in the 1940s as a high-grade source of cobalt. And by high-grade, we mean... the total mine production was reported at 143,386 pounds of cobalt grading approximately 2.2% cobalt and 0.75% copper. With that in mind, it’s no wonder Werner Lake is considered to be a in a Tier 1 location for mining cobalt in the province of Ontario. 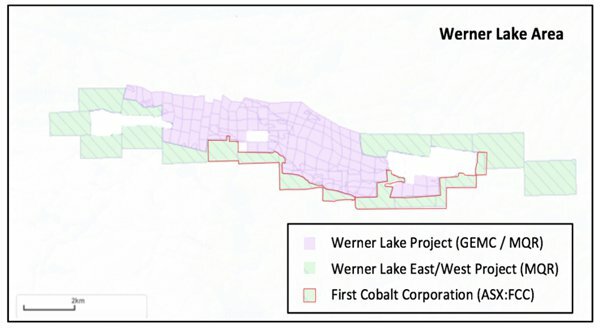 The Indicated Mineral Resource at Werner Lake is 79,400 tonnes at 0.43% cobalt, with historic drilling (about 40,000m of it) returning some interesting results. The site has returned assays including up to 20% cobalt, intersected by both surface drilling and underground drifting. Previously TSX-listed Puget Ventures reported a (non 43-101) Resource of 1.1 million tonnes at 0.31%. 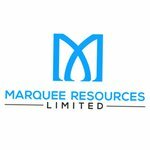 MQR’s focus is to complete this current round of drilling and start Resource estimation work to get the Resource back above 1m tonnes in JORC (2012) standards. Whether it can do this is speculative at this stage, so take all publicly available information into account before making an investment decision. As we mentioned earlier, the mineralised zones at Werner Lake remain open in all directions... which means there are plenty of opportunities to expand the Resource, and for MQR to see some serious upside to this project. Following the undertaking of road repairs and additional track clearance to improve the ease of access to camp in view of setting up accommodation and a drill rig, MQR commenced its extensive drilling program with results due imminently. The Werner lake exploration camp is primarily focused on narrow spaced drilling, designed to increase the existing Resource of 79,400 tonnes at 0.43% cobalt. Phase 1 drilling, which is currently underway, consists of approximately 2000 metres of diamond drilling, and, subject to coming results, MQR will move immediately into Phase 2 which will consist of 4000 metres of diamond drilling. Drilling is designed to test depth extension of the mineralised zones, confirm historic drill intercepts and potentially convert areas of inferred mineralisation to the Indicated category. Suffice to say the company is now in the position to update the market on a more regular basis. A second Werner Lake project became MQR’s after its acquisition of Canadian Co27 Pty Ltd, which was the nearby Werner Lake East/West project, with land adjacent to the original Werner Lake GEMC project we’ve just covered above. MQR’s main aim here is to satisfactorily unify the project areas, and explore for more high-grade cobalt mineralised zones throughout the Werner Lake Geological Belt, including possible extensions to Werner Lake deposit. 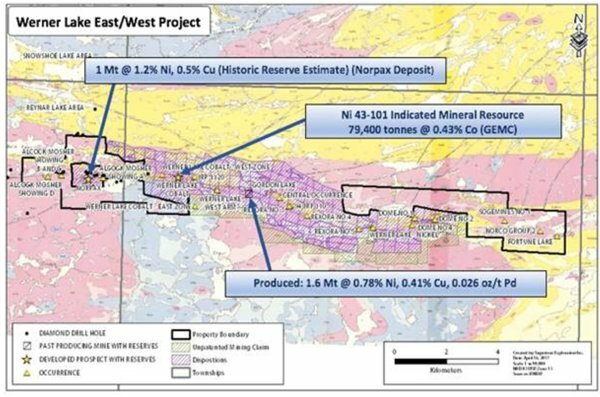 The East/West tenements adjoin a previously producing copper-nickel-PGE-cobalt mine, and consists of approximately 18.4 square kilometres (West Block 7.8 square kilometres, and East Block 10.6 square kilometres). Exploratory work will look to confirm an extension of the mine trend to the east and west, hence the project’s former name. As you can see, it abuts the Werner Lake project, and will allow MQR to unify the Werner Lake area and more rapidly explore for further high-grade cobalt occurrences. 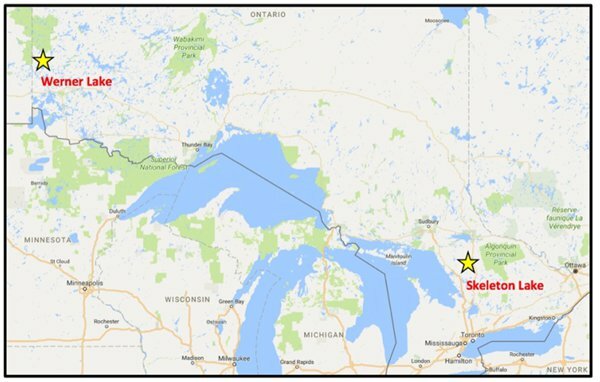 MQR secured the options for the Skeleton Lake cobalt project in Canada as part of its acquisition in February. This is a very large landholding — some 1408 hectares (14.08km2) — in the highly prospective Mulligan cobalt area. 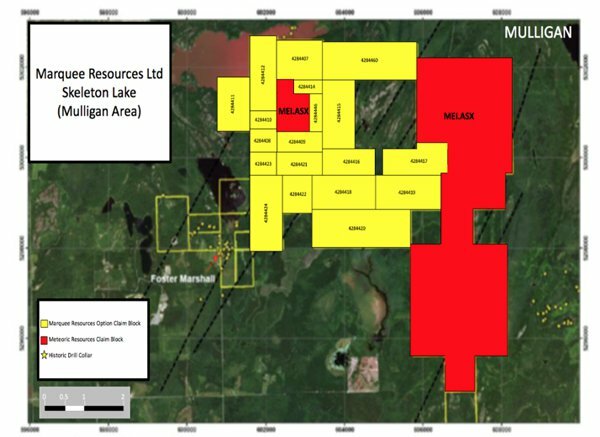 Skeleton Lake is, conveniently enough, situated just 55 kilometres north of the town of Cobalt... and also surrounds, and abuts, Meteoric Resources’ (MEI:ASX) Mulligan and Mulligan East Cobalt property. Earlier this month MEI completed its maiden drill program at its Mulligan Cobalt Project, which has seen grab sample assays of up to 12.6% cobalt, 39.7 g/t silver, 1.03% nickel and 29.8 g/t gold. 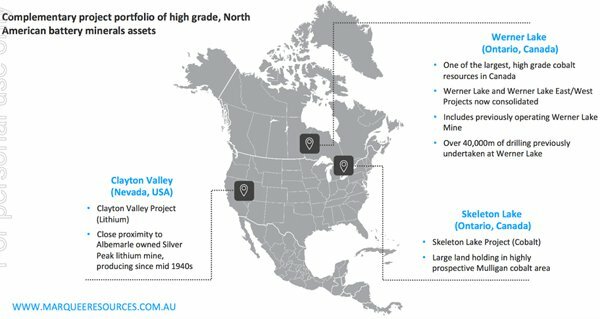 Also neighbouring MQR’s tenements is the Foster Marshall silver-cobalt project, which returned historical high-grade assays up to 4.5% cobalt and 87oz/t silver... the well-established Mulligan cobalt occurrence is contiguous to the Skeleton Lake project, no small comfort in terms of the project’s potential. Skeleton Lake also boasts good surrounding geology, which consists of the Nipissing Diabase covering most of the cobalt occurrence. The regional geology features outcrops of conglomerate, greywacke and argillites both north and south of the Mulligan occurrence. In the first half of the year, the company completed a two tranche placement a good show of support from new institutional and professional investors together with existing shareholders. The total amount landed MQR a very handy $2.65 million at 0.35 cents. And it currently has around $3.2 million in cash. This is the kind of support that small cap explorers can only dream of... and according to the company, it’s enough to fully fund the earn-in costs at Werner Lake. 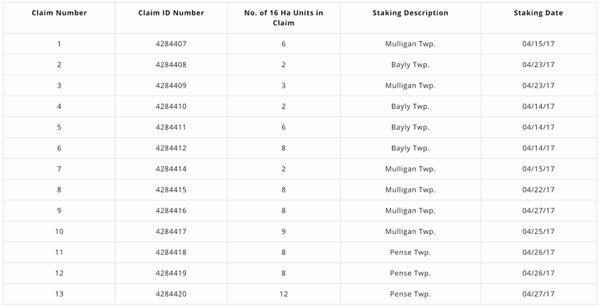 The Placement, for which Hartleys Limited acted as Lead Manager, leaves MQR in prime position to see through its aggressive program to rapidly unlock the significant potential of the deposit and surrounding areas. Although there is still a lot of work to be done, so investors should seek professional financial advice for further information if considering this stock for their portfolio. It seems this small cap is in the right place for its cobalt exploration. But adding further to the promising outlook here is the fact that automotive companies and a range of governments are setting aggressive timelines and targets to reduce CO2 emissions — an obvious vote for the broad scale adoption of electric vehicles (EV). With serious muscle added to the existing Board, an oversubscribed placement injecting A$2.65 million, aggressive exploration plans for its new Werner Lake Project, and a world that can’t get enough of electric cars and the promises inherent in lithium-ion batteries... MQR is sitting pretty in two very safe regions, where it is free to exploit the friendly macro cobalt environment. Drill-bits are turning at Werner Lake, and management as well as shareholders must both be keen to see the expansion of the existing Indicated Mineral Resource. All of its current moves signal that MQR is ready to take the burgeoning cobalt market by the horns.